Boy was I surprised when I got the phone call this little one was already here and ready to come in for his newborn session. Hugh was in a hurry to get here, a month early and a quick labor, he knew it was time to meet his family! And why wouldn't he be with two incredible parents, Laura and Conner, as well as three-year-old big sister sweet Caroline. Mom had wanted a very simple, warm, natural feel to their newborn session, and with this family's lovely down to earth nature, I think we got exactly what she wanted. 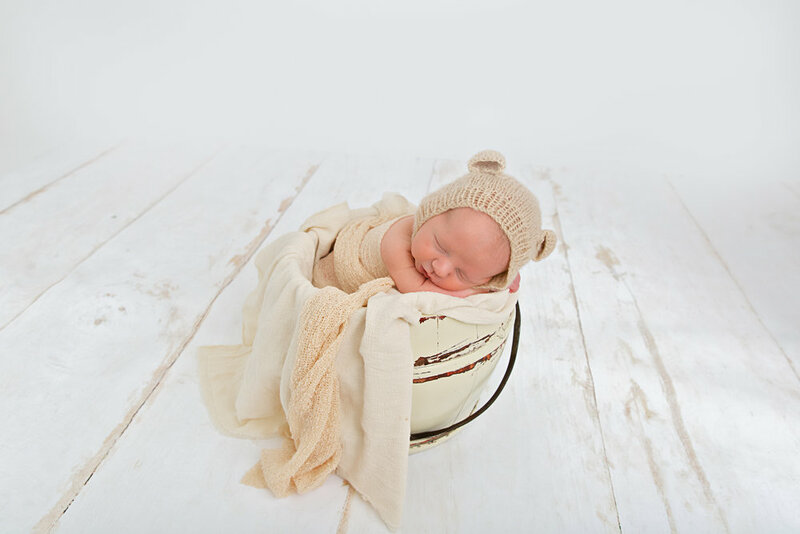 He was so cute I just couldn't help but use some really fun props with him. 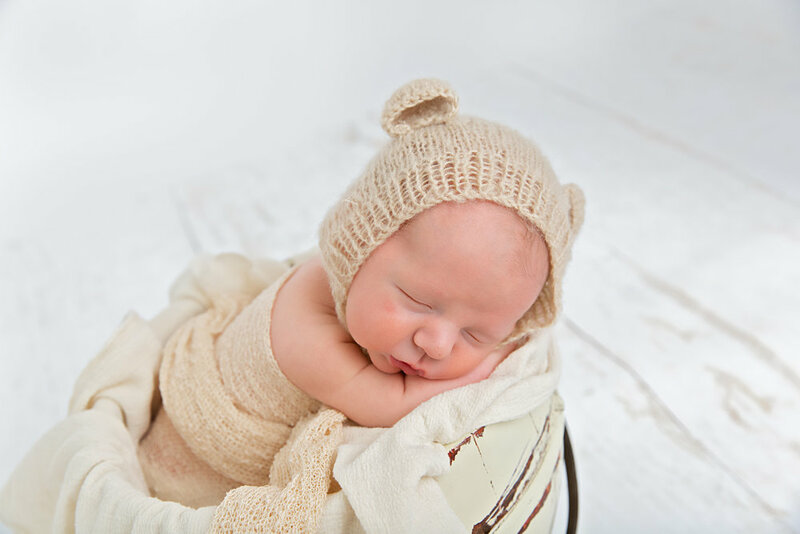 From the rip-van-winkle cap, to the engineer's cap, to the fuzzy bear ear bonnet, this baby boy was precious in them all! Laura and Conner told me the thing they were most excited about when they found out they were expecting was for Caroline to be a big sister. She has taken to her job as big sister beautifully. 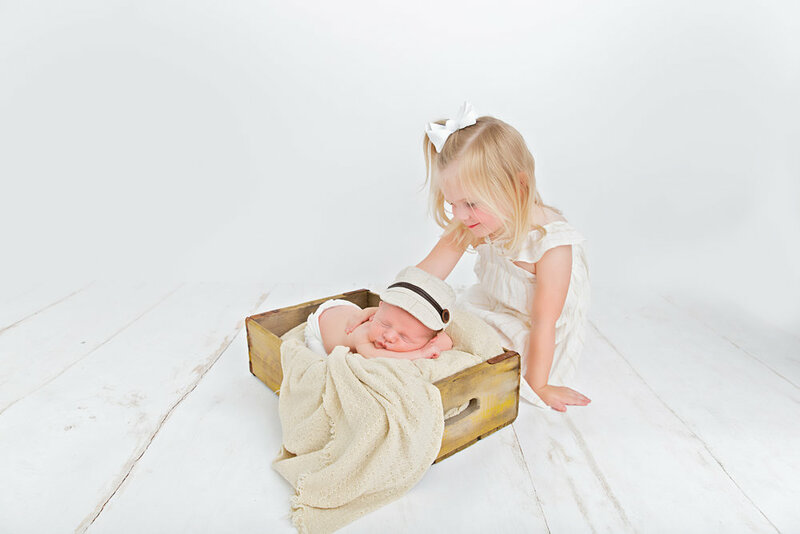 She was exceedingly gentle for a three-year-old, and she looked at her baby brother with complete love and affection. Caroline was great in front of my camera. 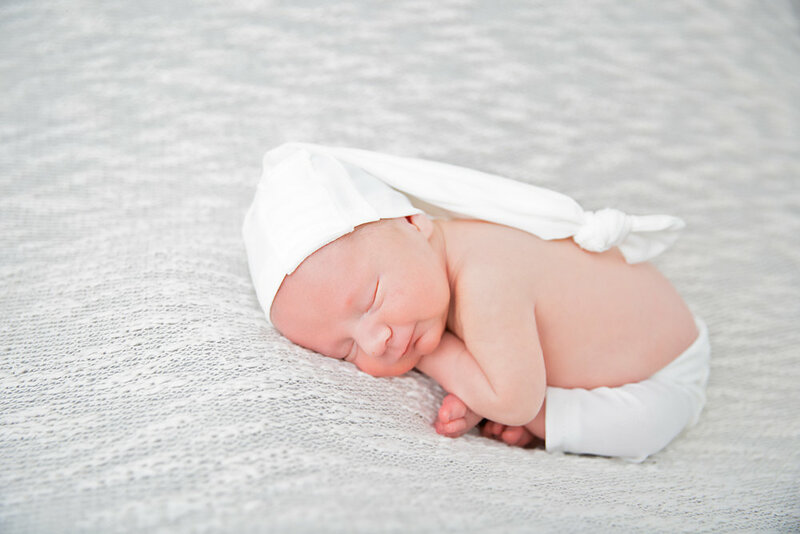 Baby boy Hugh's name has two times the special meaning to it, Conner's great-grandfather's name was Hugh, but it is also a nod to Laura's maiden name, McHugh. It is so nice to be able to honor both families at the same time when naming a baby. I had such a great time with this fun family of four, I hope to see them again in the future! 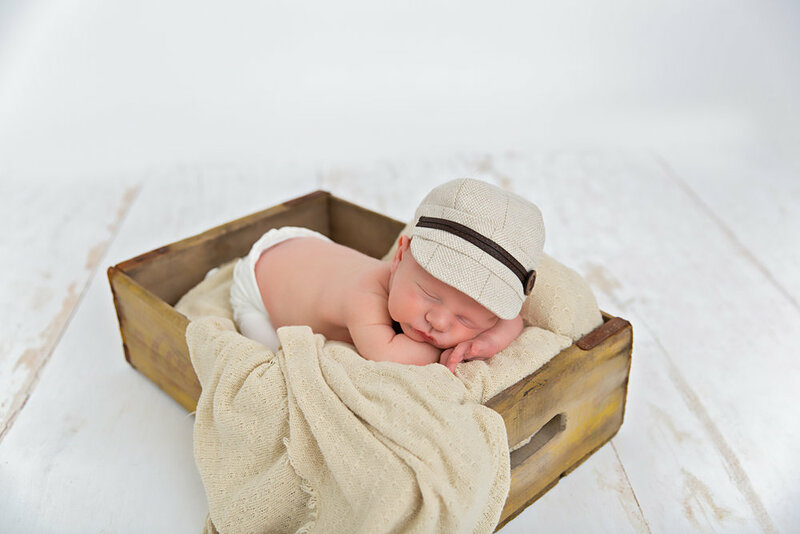 Take a look at newborn baby boy Hugh's debut photography session!